The CPCC Career Fair is just two weeks away! The event takes place March 6 from 10 a.m. to 2:30 p.m. at the Grady Cole Center. Employers from more than 90 companies are eager to talk to CPCC students about full-time and part-time job opportunities. Are you ready to talk to them? When you approach an employer’s table at the fair, you’ll have 5 to 10 minutes of their time. You want to make a favorable impression, so positive that your resume is placed in the “Yes” stack of applicants they plan to contact for job interviews. How can you impress employers in 10 minutes or less? 1. Dress professionally. Wear professional attire and keep the makeup, accessories, aftershave and perfume to a minimum. Check out the Career Services blog for tips on what professional dress is – and isn’t. 2. Offer a firm handshake. Employers assess your potential even before a word is spoken. Take the initiative to introduce yourself first by stating your name and pairing it with a confident handshake. 3. Present your pitch. In these two weeks before the Career Fair, it’s time to write and practice your elevator speech – a brief introductory statement that says who you are and what opportunities you’re seeking. Write your speech now. Practice it (in front of the mirror and friends) until it becomes and sounds natural. 4. Ask questions. Show the employer you’ve done your homework. Check the list of companies attending to identify the ones you wish to speak with. Research your target companies. Great research resources include the company’s website, as well as their LinkedIn profile, Facebook page and Twitter handle. Ask relevant questions that show your interest in being their newest employee. 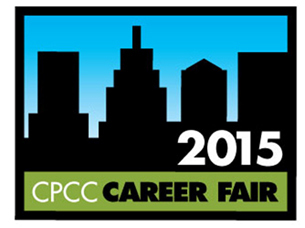 Visit the Career Services website for other tips to help you get ready for the Career Fair. Be sure to have your resume professionally critiqued by a Career Services career counselor: Schedule an appointment, or take advantage of Central Campus Drop In Hours (Monday-Friday, 11 a.m. to 1 p.m., no appointment necessary). A film shoot will take place at and around Memorial Stadium and Grady Cole Center, next to CPCC’s Central Campus, August 20-24. As a result, traffic patterns on the streets adjacent to this area will be impacted, specifically Sam Ryburn Way, which circles this stadium. Please follow the guidelines below to ease your access to/from Central Campus next week, and remember to leave early to allow for extra travel time during this five-day period. Access to Student Parking Deck 3 (located at the corner of Charlottetowne and 7th Street) will be maintained at all times. On Monday morning, August 20, students are encouraged to use the west entrance (closest to Kings Drive). Several handicapped spaces located along Sam Ryburn Way will be impacted. CMPD will be on site to provide access to these spaces to anyone with a handicapped parking permit and will ensure these drivers safely exit the grounds as well. The CATS Special Services Bus Stop, located behind the ATC Building will be impacted too. CMPD officers will be on site to ensure students with special needs both board and exit the bus safely. Traffic will be restricted from entering Sam Ryburn Way except for vehicles with Handicapped Parking Permits, the CATS Special Services Bus, and emergency vehicles. Thank you so much for your patience and consideration during this time.